IU, NOT as in Indiana University. One of her songs called Good Day (좋은날) was the second, then it became the FIRST most popular song in no time, and the heat lasted for a while. Oh, please rest assured. I'll be sure to put up the music video somewhere below. JYP (lead by Jin Young Park who produced Wonder Girls, 2PM, Rain, etc...) more than 15 times. Fortunately, she was recognized by another entertainment company. BTW, she was born in 1993.... So she's only 18 this year, and she's this big of a star!!! I quite adore her, but music is to be heard, not described. So here are her music videos. Below are some of her hit songs in the past. Those were her pretty sides. Let's look at some of her funny side. How do you like her laugh? How would you like some of her song's high-pitched part's parody? 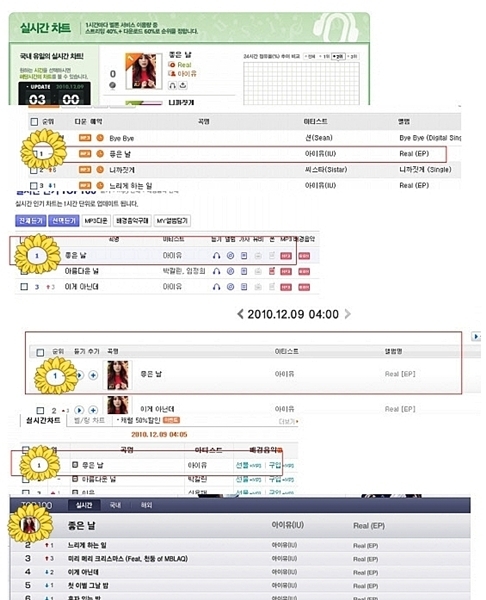 Corinne presented IU a song called 4AM. At least, she's good of her age, isn't she?